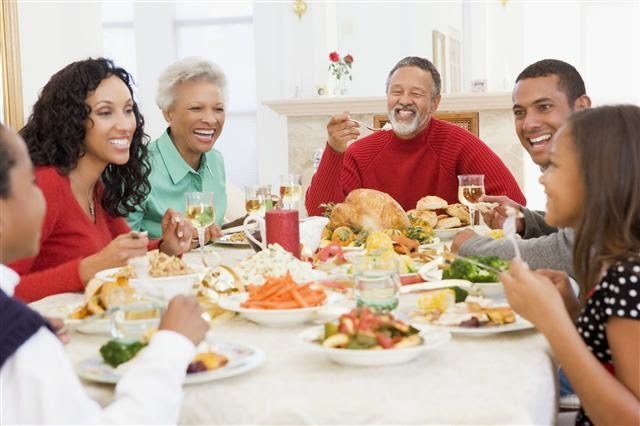 Family dinners are not just for the holidays. They actually have some benefits far outside of sharing that lamb or Ham feast among the people you care about. We all get busy in our lives, but we should have o make some time for real Benefits. For families with the adolescents as UCLA study showed that shared meal time was associated with reduced depression, less delinquency and reduced substance abuse. Passing the meatloaf might be more effective than spare the rod and spoil the child. Even if you do not have any child, making meal time with people you care about gives you the opportunity to communicate with them correctly without distraction or competing interests. Also get the kids involved with the meal creation and do not feel bad about doing take-out on occasion. If you are note able to make time for a nice meal together more than once or twice a year then you should do breakfast. Personally, I always make sure to have coffee with my parents at least twice in a week. We sit down together, relax, and talk about our day. We will also do the dinner together at night. Just make sure that you really connect rather than talk about things that annoy us in life (work, family of origin, politics, health, etc). Meal time is not only about eating, it’s about sharing things with the people you care about most and which also helps to release any stress from your mind.